Amylulita says...: 2NITE!!! 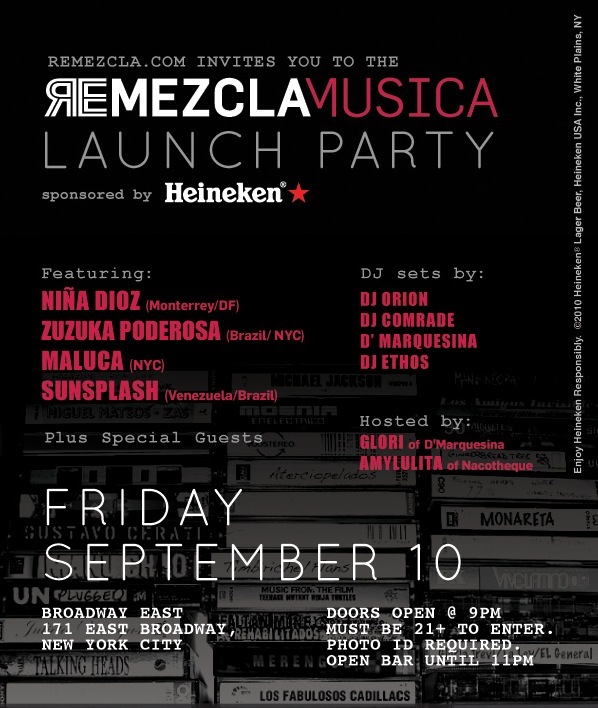 Remezcla Musica Launch Party in NYC!! Hawt party tonight in New York City!! We’ll be celebrating the Launch of Remezcla Musica!